Contrary to popular belief, whole wheat flour and whole wheat pastry flour are far from being alike. Different in both taste and nutritional content, these baking ingredients have distinct characteristics. By definition, whole wheat flour, also known as wholemeal flour in the UK, is a pulverized substance extracted from wheat berry. Typically used for baking bread, whole wheat flour is highly nutritious because it is derived from grinding the entire wheat berry, including the endosperm, the germ and the bran. A rich source of protein, B vitamins, iron, fiber, zinc, phosphorus, thiamin, magnesium and niacin, whole wheat flour is distinct for its speckled brown color. It is commonly mixed with lighter bleached or unbleached flours. Whole wheat pastry flour, on the other hand, is derived from soft wheat berry. Used for baking cakes, pie crusts, pancakes and biscuits, whole wheat pastry flour is light and soft in texture. Although the wheat’s bran and the germ are included in the milling process, it does not produce a wheaty and tannic flavor. In terms of nutritional content, whole wheat pastry flour is rich in carbohydrates. Also, it is lower in protein and gluten as compared to other types of flour. So what’s the difference between whole wheat flour and whole wheat pastry flour? Even though they may seem identical at first glance, there are major differences between the two. 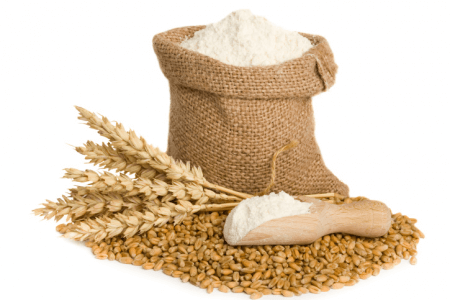 Firstly, whole wheat flour is produced by grinding or mashing red wheat or wheat berry, while whole wheat pastry flour is derived from the finest soft wheat berry. During the grinding process, however, the wheat’s germ and bran are included in both types of flour. Secondly, whole wheat flour is a rich source of protein. 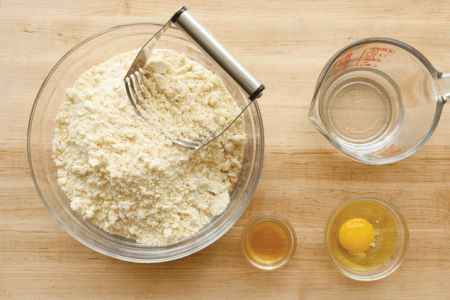 Whole wheat pastry flour, by contrast, has a low protein and gluten content. Because gluten affects the texture of the flour, whole wheat pastry flour is lighter as compared to whole wheat flour. The difference between their gluten levels also affects their overall structure and elasticity. Basically, gluten is the type of protein found in wheat products. Pizza crusts and bread require a high-protein flour, which explains why whole wheat flour is used for these baked goods. Delicate pastries like brownies, muffins, cookies and pie crusts, on the other hand, should be baked with whole wheat pastry flour since they require a lower protein content. In terms of taste, whole wheat pastry flour does not produce a wheaty and tannic flavor like its counterpart does.